Congress leader Ghulam Nabi Azad said the government was "killing the poor". New Delhi: The government's move to raise the price of cooking gas by Rs 4 every month till next March triggered a huge row in parliament's upper house today. The rich, the opposition contended, had given up subsidy on cooking gas following Prime Minister Narendra Modi's appeal, so the poor could have the benefit. Now the government was eliminating subsidy even for the poor -- that too at a time when the global oil prices are at a record low, the opposition said. The information on the price hike - meant to eliminate the subsidy on cooking gas -- had come in a written reply by oil minister Dharmendra Pradhan in Lok Sabha yesterday. In May, the government had authorised oil companies to raise LPG prices by Rs 4 every month till March 2018, the minister had said. "The government vide its order dated May 30, 2017, has again authorised OMCs (oil marketing companies) to continue to increase the effective price of subsidised domestic LPG by Rs. 4 per cylinder effective June 1, 2017, per month (excluding VAT) till the reduction of government subsidy to 'nil', or till March 2018, or till further orders, whichever is earliest," he had written in his reply. Today, Trinamool Congress lawmaker Derek O'Brien raised the issue, saying the government was not fulfilling its social commitment to provide cooking gas at subsidised rates to the poor. The argument was soon taken up by the Congress, Samajwadi Party, Mayawati's Bahujan Samaj Party and the Left Front. "This is strongly condemnable. Government should withdraw (the decision)," CPM leader Sitaram Yechury said. 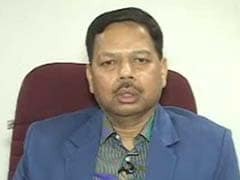 His party colleague Tapan Sen said the people were being "cheated". Samajwadi Party's Naresh Agarwal said this is a "government for profits". Though Rajya Sabha Deputy Chairman P J Kurien said he would allow a short duration debate, the opposition members rushed into the Well of the house, forcing an adjournment. 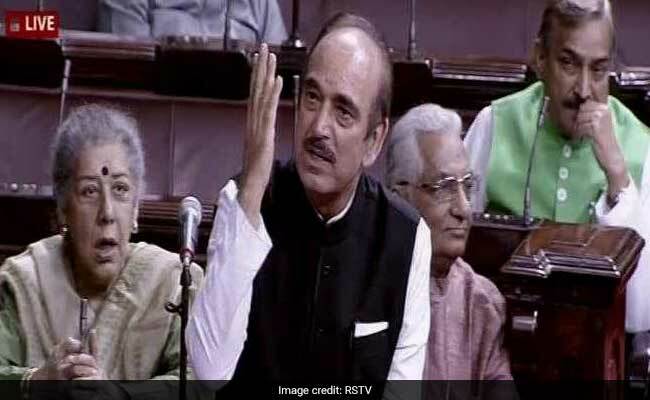 When the House assembled after 10 minutes, Leader of the Opposition Ghulam Nabi Azad said the government is "killing the poor". Within a year, the price of LPG would go up by Rs 48 per cylinder when the global oil prices are at a multi-year low. "This is not acceptable," he said. JD(U) leader Sharad Yadav said when Parliament was in session, the decision should not have been announced outside. Amid the ruckus, the minister made a submission, saying some of the leaders of the opposition parties, including Mamata Banerjee and Sharad Pawar, were members of the Empowered Group that hiked LPG prices by Rs 35 in 2010. Slogan-shouting opposition members then trooped into the Well of the House and Mr Kurien was forced to adjourn the proceedings again.